There are a myriad of differing fan variations. Two of the most common varieties are axial and centrifugal fans. Howden, a global provider of quality solutions for air and gas handling, provides both. Do you know the difference between the two? They differ greatly in design and function. Depending on your needs or application, one maybe better suited than the other. Let’s explore their unique benefits and uses. Here’s a brief history of the two. These engineering marvels date back thousands of years. But the advent of electricity brought axial fans to life in the 1880’s. As you may have guessed, their name comes from the design. Their blades rotate around an axis, drawing the air in and pushing it back out the other side. These are great for creating a lot of airflow. However, this is low pressure air flow we’re talking about. Due to their design, they don’t require much power to operate. The centrifugal fan was invented by Lieutenant General Alexander Sablukov in 1832. Most people know the centrifugal fan by the name: blower. These fans have some unique features that make them quite different from axial fans. Centrifugal fans also have rotating blades, but this time kinetic energy is utilized. The air then flows from the center back out to the edges, and out an opening into the desired direction. This direction change in airflow is typically 90 degrees. Centrifugal fans have a lower flow rate, but a more steady airflow. They also require a high power input. Because of their differing designs, these two fan types are each better suited for different types of customers and functions. Due axial fans low pressure — these are better suited for more general purpose applications, and those that do not require a lot of power input. These are great for transferring air, cooling confined spaces along with larger spaces. This design is utilized to cool demanding environments. Reliable and proven to work under duress, this design is used for tunnel ventilation and main mine ventilation, along with various other uses. Howden supplies a handful of various axial fan products, each suited to specific needs and environments. Due to their ability to create high pressure, centrifugal fans are ideal for high pressure applications and needs. Drying and air conditioning systems typically utilize this design. Because the airflow system is enclosed, these are perfect for air filtration and pollution systems. Centrifugal fans are extremely durable, and able to operate in corrosive and erosive environments. These are easy to maintain and some even have self-cleaning characteristics. Here are some other unique characteristics. 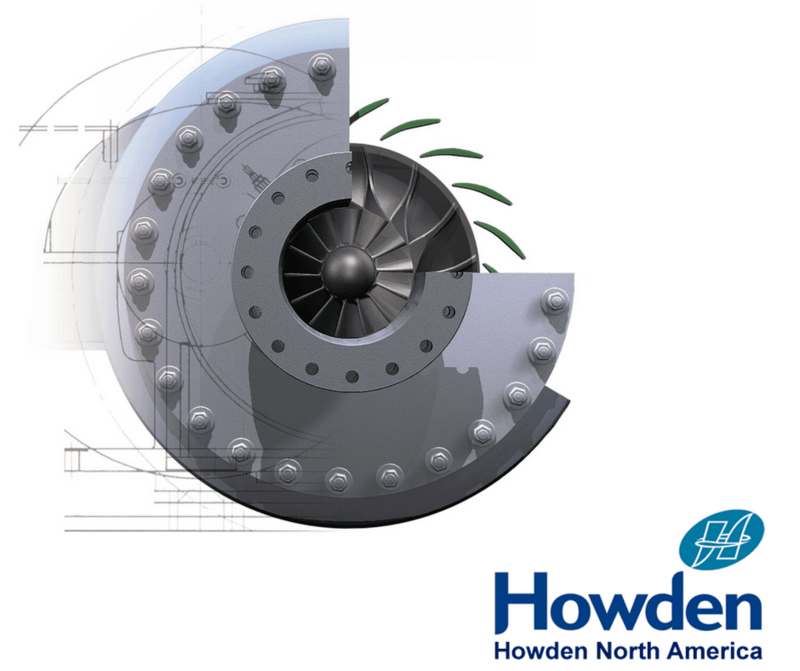 To learn more about the various Howden fan applications, feel free to visit their website.